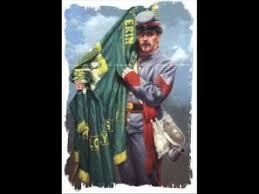 On the Confederate side, six of the 425 generals were Irish. 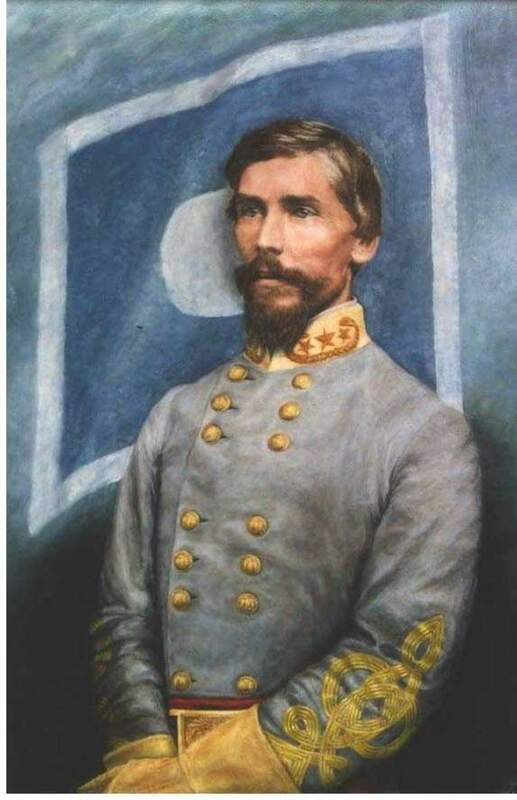 Patrick Cleburne saw the South’s plight as that of Ireland’s, in that the Union refused to allow secession, just as Britain disallowed Irish independence. General Cleburne, who would be celebrating his birthday today if he was alive, distinguished himself as a brave and innovative leader. 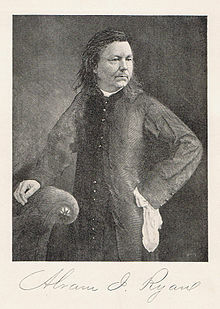 Other notable Irish commanders included General Philip Sheridan, General George Armstrong Custer, John Barry, father of the American Navy, and the Reverend Abram Joseph Ryan, who served as a chaplain to Confederate troops and went against Union authorities to do so. During the course of the War Between the States, approximately 2.2 million men fought for the Union, 150,000 of which were Irish. 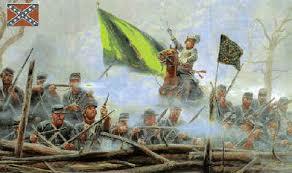 In comparison, around 900,000 enlisted for the Confederacy, with 20,000 to 40,000 of these men being of Irish decent. The Irish influenced Civil War music as well. A popular song of the time, “When Johnny Comes Marching Home,” was written by Patrick Gilmore, who was, of course, an Irishman. The Civil War Trust recently made an announcement during a news conference at historic Belle Grove Plantation. Its latest campaign is to raise $1.8 million for battlefield restoration. Specifically, two areas on the Cedar Creek Battlefield in Frederick County,Virginia will be targeted. The properties are located at opposite ends of the battlefield. One of the areas includes 12.5 acres at the Vermont Monument site, where an early morning Confederate attack surprised the Federals. Outnumbered by 10 to 1, Union soldiers met the Rebel advance and held their ground for half an hour. The 8th Vermont lost 110 of its 164 men. The other area encompasses 64.5 acres located at Rienzi’s Knoll, where Union General Philip Sheridan arrived after riding his horse, Rienzi, thirteen miles, just in time to save the day. The ride was later immortalized in a poem, and Rienzi was renamed Winchester. The battle took place on October 19, 1864. It was a decisive victory for the Union, and clinched Abraham Lincoln’s reelection.